I first started making my own refrigerator pickles a couple of years ago thanks to a bountiful cucumber crop from my garden. Refrigerator pickles are what I consider, in the best possible way, "slacker" pickles. 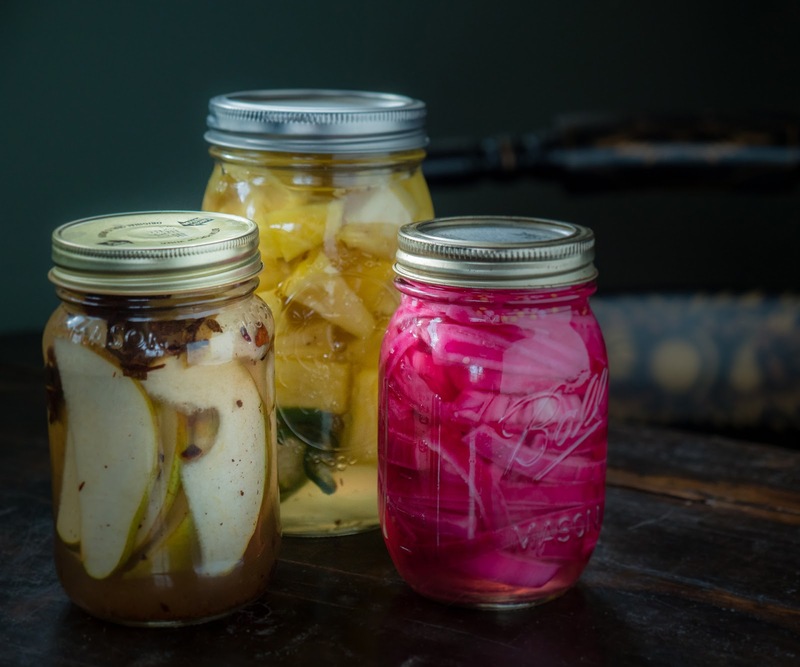 Compared to traditional methods of pickling, the refrigerator version isn't as complicated or as lengthy a process. 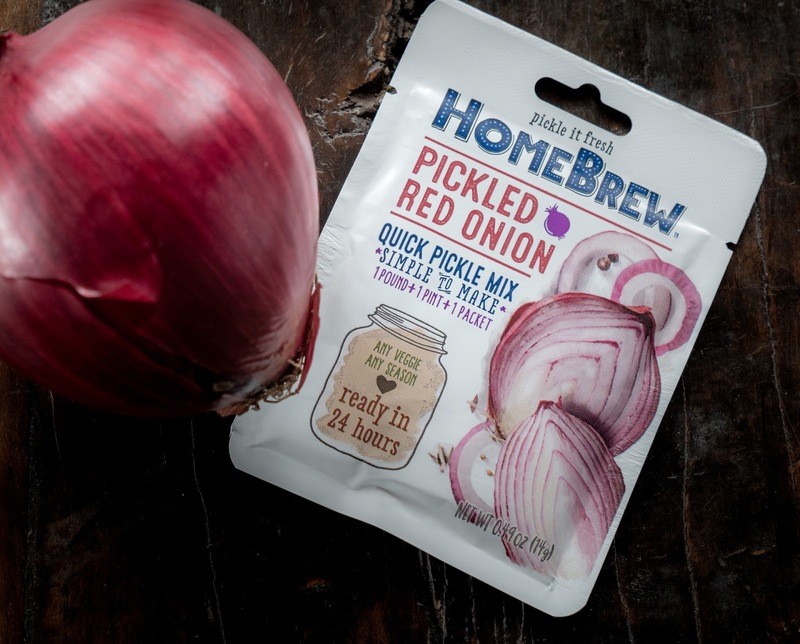 Well, now thanks to my March Degustabox, I've discovered HomeBrew, a product that makes refrigerator pickles even easier! 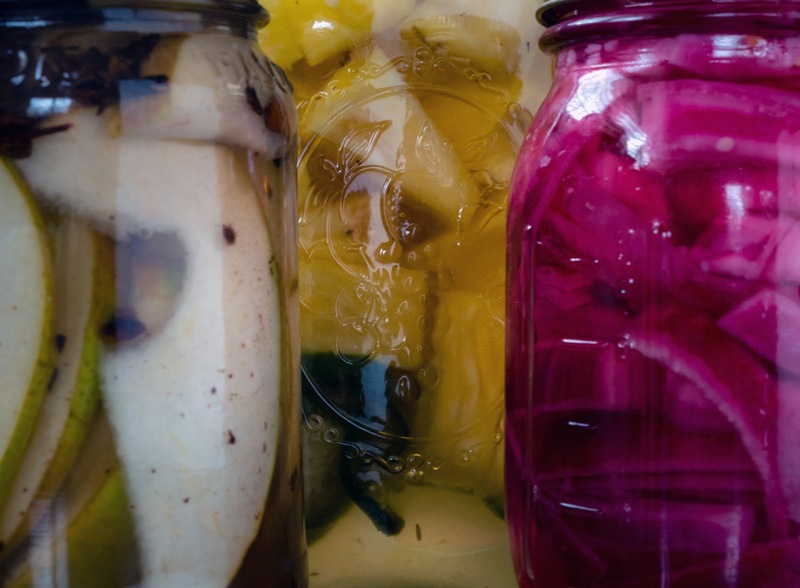 From traditional dill pickles to zucchini pickles to beets to Italian giardiniera to jalapenos, you name it, I love pickled vegetables. I can't get enough of that vinegary taste and the way the seasoning just permeates each bite. Pickling is also a deliciously practical way to preserve excess vegetables or fruits that might go bad before you get to eat them fresh. I am still intimidated by traditional canning and pickling methods, hence the refrigerator method. It doesn't require special equipment and you get the same taste. The caveats are that you have to store them in the fridge and they don't have as long a shelf life. I'm okay with that. HomeBrew is seriously perfect for folks like me. They offer a variety of seasoning packets ready to go. You don't need to buy an entire container of a specialty spice where you'll wind up only needing a fraction of it for the pickles. Each HomeBrew packet is enough seasoning for a pint of pickles. All you need to do is grab a HowBrew seasoning packet, then follow the directions on the back. Each packet gives you the appropriate vinegar and sugar to water ratio. Toss it all together in a saucepan pan, bring it to a boil, then pour into your pint jar stuffed with the recommended vegetable or fruit. Put on the cap, pop it in the fridge, and in 24 hours you've got pickles. My one tip is to make sure you chop your vegetable or fruit into roughly the same sized pieces. This allows for a more consistent taste across each piece in the batch. 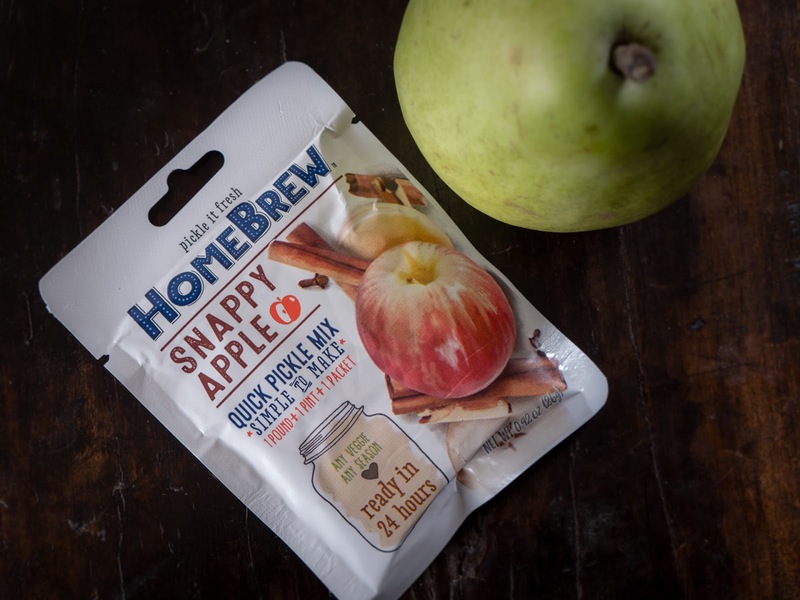 I tried three different HomeBrew packets: Snappy Apple, Spicy Pineapple, and Pickled Red Onion. On the back of the Snappy Apple packet, they suggest swapping a pear for the apple. I decided that sounded interesting, so that's what I did. They also suggest swapping bourbon for the vinegar. I almost did it, but we only had a fairly expensive bottle in the house and I wasn't going to use it up in a pickling project. Something to try next time. 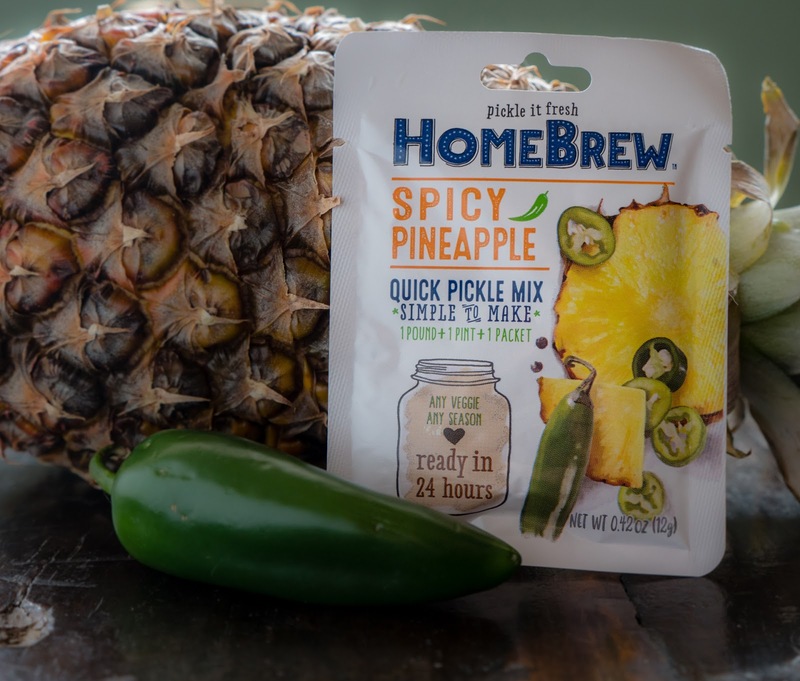 For Spicy Pineapple, I also went with the HomeBrew recommendation of adding in a sliced jalapeno for an extra kick. This tangy, sweet and spicy creation is prime for BBQ or pulled pork. The Pickled Red Onion I did straight up, no substitutions. I feel like these would be stellar on a sandwich, especially a grilled ham and cheese. It took no time at all to make all three kinds, even with clean up in between. All three combinations we made tasted really good in just 24 hours. HomeBrew is a win in my book. 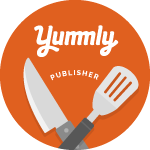 I cannot wait to try more; I'm thinking Spicy Kimchi and Tangy Beet! So, yeah, you can pickle that! And, HomeBrew makes it a breeze. I’m a pickle freak. Looks easy! Same here. It's so easy and fun too! Wow. Sounds like even I could do it! I'm not one for fussy do-it-yourself projects, so I can confidently say this is super easy!